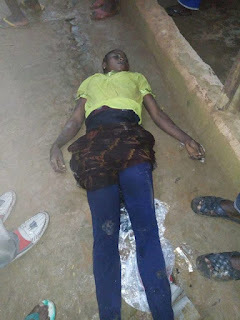 Residence are still in deep shock after thunder stroke dead a beautiful lady and 4 others at Utanga market in Obanliku local government aread of Cross River state. 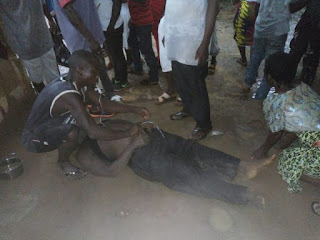 ALEXREPORTS learnt that The incident happened on Tuesday, October 16, 2018. The corpses of the deceased were evacuated by shocked residents and traders who believe that the incident is a sign of evil in the community. Few months ago, three persons, including a motorcyclist, were struck dead in Ijebu-Ode, Ogun State, by a thunderstorm followings hours of torrential rain that pounded the ancient town. The victims who were in their 20s were riding on a motorcycle and elected to take cover in a solitary building along the former Gateway Hotel annex, pending when the rain will subside, but the accompanying thunderstorm struck three of them dead.